Will the Operation Rah-i-Nijat Deliver? 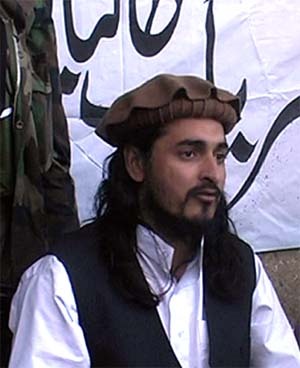 To everybody’s dismay, Hakeemullah Mehsud, the leader-elect of the Tehrik-i-Taliban Pakistan (TTP); appeared before a small group of journalists at Sararogha in South Waziristan on October 4 and vowed to avenge the killing of his predecessor Baitullah Mehsud. Hakeemullah was thought to have been killed in infighting. Surely, Hakeemullah and the TTP have abided by their words which can be deciphered from the wave of attacks on the Pakistani mainland since October 5, including the siege of the Army Headquarters in Rawalpindi on October 10. The insurgents are not sparing educational institutions either with the International Islamic University at Islamabad being their latest target on October 20. Actually, the series of suicide or ‘Fidayeen’ attacks were being carried out not only as a retaliation against the drone-attack on Baitullah Mehsud on August 5, 2009 but also as a pre-emptive measure against the possible onslaught to be waged by the Pakistani Army on the Taliban stronghold in South Waziristan. But in fact, these fatal terrorist attacks hastened the Operation Rah-i-Nijat embarked upon by the Pakistani Army in order to decimate the Taliban in South Waziristan. The planning of the said operation was going on since June 2009 but on October 17, the Pakistani Army was probably left without any choice but to attack. Can the ‘meticulous planning’ by the Army top brass and the professional attitude of the soldiers guarantee success? This is a probing question which probably lacks an unequivocal answer. The epicenter of the behemoth called the Taliban lies in South Waziristan, and this is where ‘the mother of all battles’ is being fought. Already in April-June 2009, the Pakistani military lost more than 300 of its soldiers in the Swat valley while ousting the Taliban. Furthermore, it must be remembered that the past operations against the tribal militants in South Waziristan ended in failure. The January 2004 operation led to the infamous Shakai peace agreement signed in April 2004, followed by another agreement on Feb 5, 2005 with the now-dead TTP chief Baitullah Mehsud. In late January 2008, the military launched Operation Zalzala with the goal of dislodging Baitullah. Barely 12 days later, the authorities were clinging on to the previous peace agreement. A debate is raging within some circles if the military could have mounted an assault shortly after Baitullah’s death, more so when the terrain in South Waziristan is arid and hence lack of water could have proved detrimental to the insurgents. It appears that the Taliban-Qaeda group received a substantial amount of ‘breathing time’. But the other school of thought puts forward the factors of a tricky terrain, past fiascos of the Army and the unfathomable uncertainties as the major bottlenecks behind the procrastination of the ground offensive. About 1,500 Uzbeks centered around the village of Kaniguram are the most formidable fighters on the Taliban side and hence add to the predicament of the Pakistani musketeers. If Pakistan wants to be exculpated from its past deeds of propelling the Taliban to gain the so-called ‘strategic depth’ in Afghanistan, then it needs to act in a positive definite manner. Inter-Services Intelligence’s (ISI) own “Frankenstein” has to be quelled. Bravado of the Pakistani Army notwithstanding, the attitude of the military elite is still in doubt. The ‘India factor’ looms large on the Pakistani strategic horizon. Indian presence in Afghanistan and Central Asia along with present Indo-US camaraderie enhances the skepticism and buttresses the prevailing cynicism regarding India. But USA would keep on pressurizing Pakistan ‘to act’ against the Taliban and Al Qaeda, more so when through the “Kerry-Lugar Bill” Pakistan will get a non-military aid of $1.5 billion per year for the next five years. The bill has been criticized in the Pakistani military circles and media for the attached conditions. It is the US administration which will verify and give undertaking on behalf of Pakistan every year to the Senate that Pakistan is fulfilling the condition mentioned in the bill. The contentious clause in the “Kerry-Lugar Bill” is related to the US demand that security forces of Pakistan shall not interfere in the political and judicial processes of the country. Will the ISI and the military accept such demands? Such a clause might make the Pakistani military torpid with regard to action in South Waziristan. In an open letter to the Mehsud tribesmen, Pakistani Chief of the Army Staff General Ashfaq Kayani has sought their support in the Operation Rah-i-Nijat. Apart from the obvious tactical measure of isolating the Taliban-Qaeda faction, the other thing that emerges from this act is the primacy of the Army vis-à-vis the civil administration. Well, if Pakistan has to ‘survive’ from its “Frankenstein”, then its military has to concede. The ‘mother of all battles’ must go on with enhanced ferocity. The blitzkrieg of Rah-i-Nijat needs to be accomplished within six to eight weeks, because of the impending winter. End of November would bring in snow to the region. Tactically speaking, the US-led NATO Army has to aid the ongoing operation from the Afghan side. Rah-i-Nijat means the “path to deliverance”. To really deliver, the operation not only needs verbal braggadocio by the military elite but a serious rethinking and reconsideration of their role in strengthening the ‘security sphere’ in South Asia. It is high time Pakistan eschews the jabberwocky of the ‘Indian threat’. Then only can the Taliban and the Al Qaeda be dragooned.